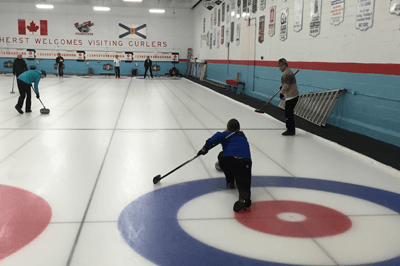 feel welcomed at the Amherst Curling Club. 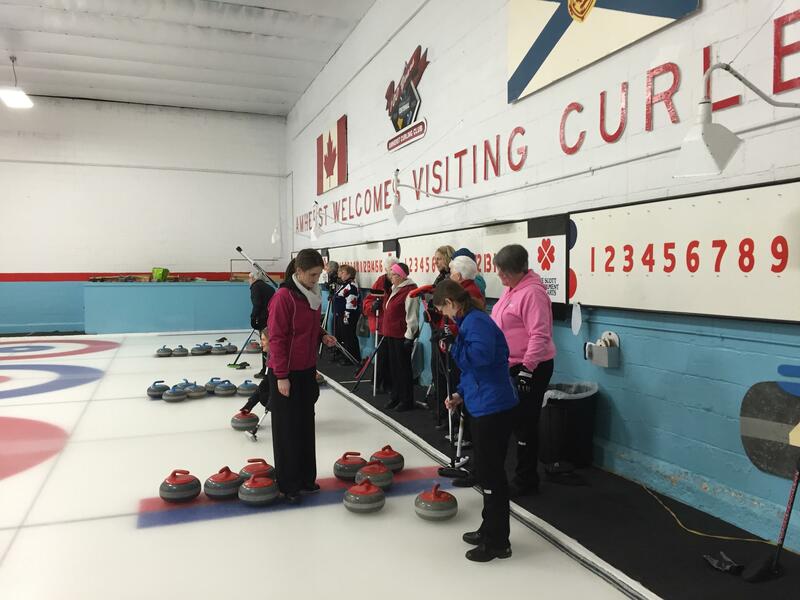 We offer a variety of different curling choices based on your interests and ability for all ages. 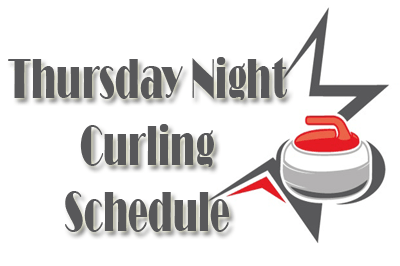 Below you will find information about our various leagues, curling club news, photos, information regarding curling and events at the Amherst Curling Club and much more. 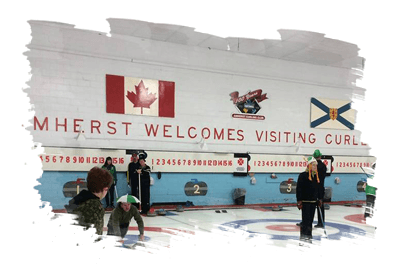 The Amherst Curling Club FaceBook page is also a great source of club news because it contains a variety of member posted comments, links, videos, photos and more. 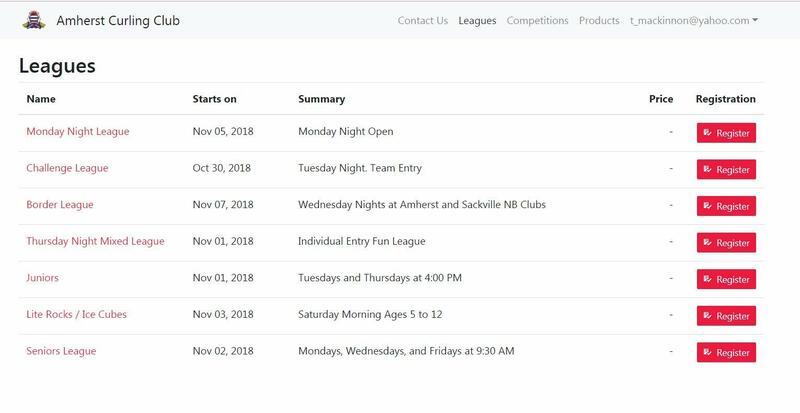 Note: You can refine the club news content found below by using the various category links or search tools found along the side of the website. 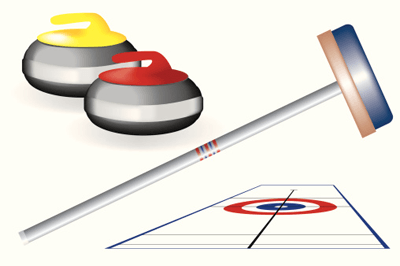 The Amherst Curling Club will hold an Open House on October 29th, 30th and November 1st and would like to invite anyone interesting in knowing about curling, curling leagues available, and the learn to curl program. 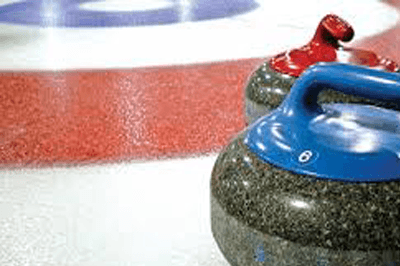 This year the Amherst Curling Club is providing an online curling registration service through the Curling.io website run by the Curling Canada Association. 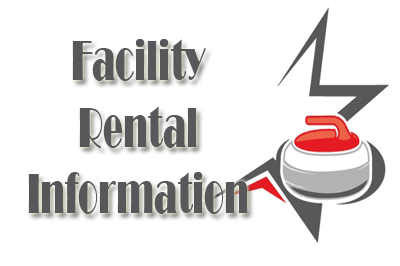 The process is pretty straight forward, however we have included a few notes below that summarizes the process. 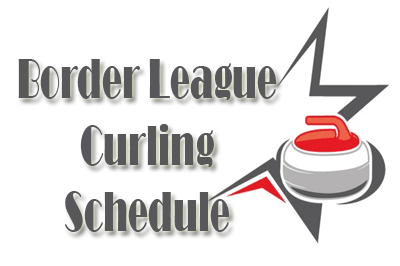 The Border League anticipates having one or more vacancies for the 2018/19 season, to reach the full complement of 16 teams, and will be accepting team applications until September 30.